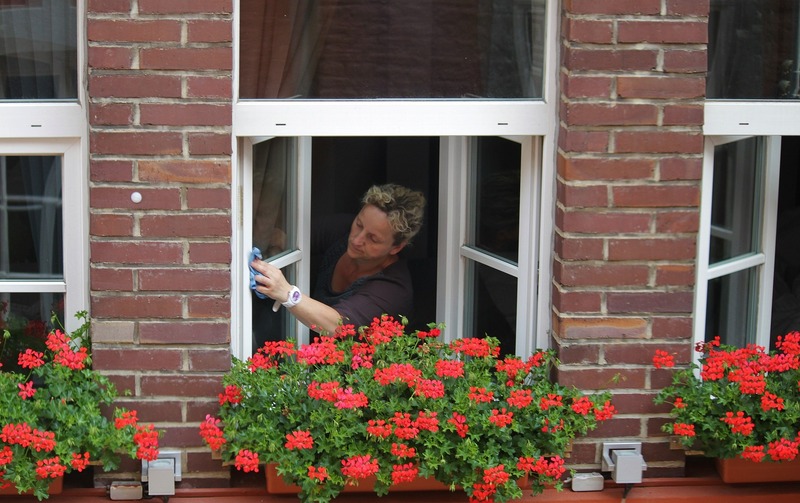 Home Blog What’s the best way to clean my timber windows? In order to prolong the life of their timber windows and doors, we advise our customers to clean the window frames and sashes at least on a quarterly basis. This will help to prevent fungal build up and provide an opportunity for you to check the condition of your windows. The modern coating methods will last many years, in our case a minimum of ten years providing this basic maintenance is undertaken. So what’s the best way to clean your windows? Wash with hot soapy water (any mild liquid detergent solution will suffice) to remove any contaminants, frequently changing the water. After washing, rinse thoroughly with clean water to remove all residue, then wipe dry with a clean cloth. What should I use for stubborn dirt? For stubborn dirt, it may be necessary to use a stronger non-abrasive cleaner such as a bathroom cleaner. Apply with a non-abrasive pad, then rinse thoroughly with clean water to remove all residue. Wipe dry with a clean cloth. What should I do if I find signs of fungal growth? If any fungal growth is found, apply a solution of one part household bleach to two parts water. Leave the solution for about twenty minutes to act, then rinse thoroughly with clean water to remove all residue and wipe dry with a clean cloth. What is best to use on the glass? Firstly, choose a dry cloudy day so that the sun doesn’t dry the cleaning solution before you have time to clean and wipe it off, leaving hard to remove streaks. Try to sweep away any cobwebs and dust with a soft broom if the window is particularly dirty. Mix one part hot water to one part distilled vinegar. Wet the window using the solution and a soft sponge remember to get into the corners you don’t want to end up with a port hole effect! Using a clean dry cloth dry the window and buff to a shine. If you are confident, you can use a squeegee but this is quite a skill, especially on smaller panes of glass.